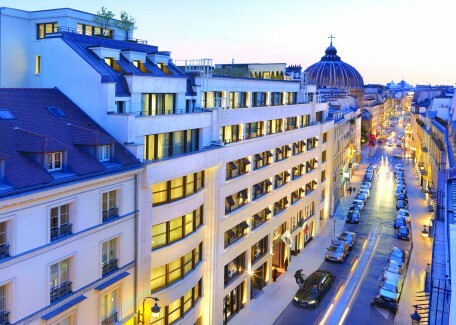 The sophisticated Mandarin Oriental Paris, perfectly situated in the heart of this magnificent city is just a leisurely stroll away from Place Vendôme, Garnier Opera, Tuileries Gardens and the legendary Louvre. 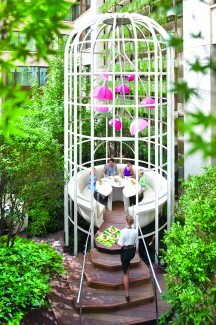 La Table du Jardin, an oversized birdcage three stories tall is the pièce de résistance. 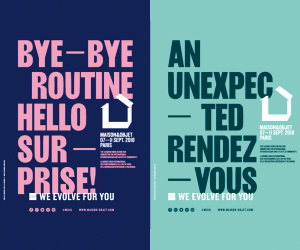 Located in a historic 1930’s art deco building, the MO has articulately amalgamated international names, like architect Jean-Michel Wilmotte who supervised the building’s renovation, landscape design agency Neveux-Rouyer, Sybille de Margerie credited for the interiors of the rooms and Agence Jouin-Manku who planned the bar and restaurants. 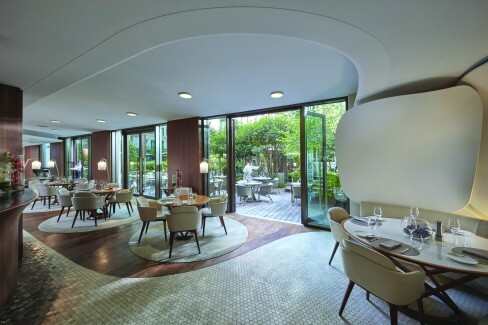 Putting the MO, Paris on every gourmand’s wish list are the two restaurants, bar, the cake shop and the garden helmed by Chef Thierry Marx. Camélia, christened after the fragrant flowers that fill the air in summer, blurs the lines between the indoor and outdoor spaces. Designers Patrick Jouin and Sanjit Manku have taken inspiration from the perfumed garden court that it opens out onto – planning a light-filtered restaurant that is simply magical. Rambling in from the courtyard, the rugged stone floor unhurriedly metamorphoses into wood, gradually shifting the garden inside – unravelling itself into the main seating area, the entryway, the cake shop and the private dining room. Giant white petals made of plaster, inspired by the garden outside create a soft modulating backdrop that fluidly wraps around the diners at Camelia. Reposing in the middle is the ‘Asian Bar’ made of curved wood, black granite and white enamel metal swirling together. Favoured seating around the ‘live’ bar provides guests with an interactive experience as they can watch the Chefs flamboyantly prepare their orders. Dramatically, the dark stone floor surrounding the bar softly fades outwards into lighter tones fusing with giant white petals made of plaster. Inspired by the garden outside, these petals create a soft modulating backdrop that fluidly wraps around the diners. 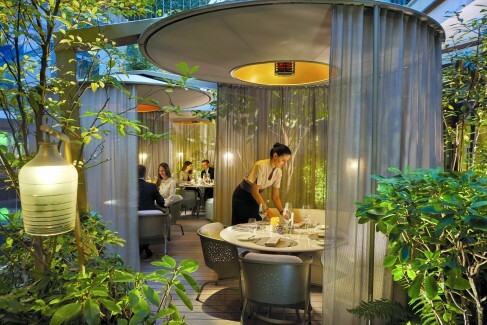 The restaurant playfully opens out into a central garden in summer bursting with luscious vegetation, white flowering trees and nooks dotted with white banquettes, custom lamps and furniture. In the summer the luscious garden nestles airy tables where diners can enjoy a sunny lunch or an al fresco dinner. Nestling resplendently near the back of the garden is the pièce de résistance aptly called La Table du Jardin. An oversized birdcage three stories tall, housing a special elevated table for eight, it presents a très chic Parisian experience – designer food in a sumptuously unique setting. Everything about this elegant hotel spells ‘Paris’, from its inherent sense of style to the immediate perception of belonging and luxury. Here, elegance meets exotic romance, making every visit an extraordinary experience.